Flow Science recognizes that a solid education in science and engineering is critical to the success of future inventors, scientists, and engineers. That is why we are dedicated to supporting educators and academic researchers by offering affordable licensing options to meet their needs and budgets. Teaching licenses can be used for undergraduate and graduate levels courses. They come in bundles of ten seats at a very affordable price. The version offered has all the power and capabilities of FLOW-3D with a limitation on cell count which is comfortably suitable for classical and academic size problems. Academic licenses for standard FLOW-3D, with no limitation on cell count, are also steeply discounted compared to commercial pricing, making its advanced simulation capabilities accessible to students undertaking research in pursuit of advanced degrees and post-doctoral work. As with commercial customers, licenses can be either leased for a fixed term or purchased perpetually. All licenses are network-capable, enabling multiple users in a lab or department to share the power and accuracy of FLOW-3D. Flow Science offers two special programs to faculty members, researchers, instructors, and students at academic institutions. These two programs are available to institutions within the United States and Canada. To apply, please visit the Research and Teaching pages. 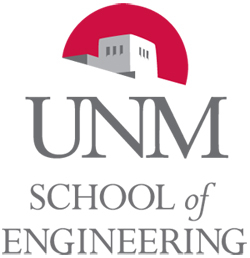 Flow Science is currently collaborating with faculty members as well as post-doctoral research fellows in the departments of mechanical engineering, civil engineering, and chemical and nuclear engineering at UNM. Flow Science’s flagship CFD software, FLOW-3D, provides a powerful tool for complex fluid modeling problems. Flow Science is an excellent partner. UNM is using this partnership to reinvigorate its computational science and engineering programs. In Mechanical Engineering, our faculty and students are excited about the opportunity to work with the state-of-the-art FLOW-3D software.